Emily Bolton, 4, from Castleknock in Dublin and Alex Conefrey, 2, from Bray in Co Wicklow help launch the FSAI audit today. THE FOOD SAFETY Authority of Ireland (FSAI) has said that allergen controls and labelling on food is in many cases inconsistent and sometimes incorrect and called for manufacturers to strengthen their polices. The FSAI’s audit of a selection of 12 small, medium and large food businesses showed that two out of three of them were found to apply allergen labelling inconsistently across product ranges which could confuse if not mislead consumers. One in four of those visited had what the chief of the FSAI, Professor Alan Reilly, said was a “significant risk of cross-contamination” by allergens which are any substance that can cause an allergy. “Staff training was found to be inconsistent and not carried out at all by some food businesses, with only two out of three providing some form of allergen training to staff,” he said. Some of the food businesses visited on site included bakeries, chocolate manufacturers, convenience foods and snack producers, as well as meat and fish establishments with the audit coming on foot of a 2011 finding that 94 per cent of precautionary food allergen labels were found to be unreliable. Other audit findings also showed that 10 of the 12 establishments were found to apply voluntary precautionary labelling but the use of such labelling by five of them was shown to be unjustified and inappropriate. Precautionary labels were sometimes applied to a food simply because a retail customer required it even though the food posed a very low risk of containing a relevant allergen. These may have included instances where precautionary labels such as “may contain nuts” were used as a substitute for adequate controls. “This defensive action to use precautionary labels where a very low risk or none exists, results in the unnecessary elimination of healthy dietary options or a desensitisation of food allergy sufferers who could then be more liable to taking risks with foods carrying these labels,” Reilly said. Most of the food businesses visited relied on production scheduling, equipment cleaning or, in some cases, dedicated equipment or clothing to minimise the risk of cross-contamination. FSAI gold standard requires that establishments operate dedicated productions lines though the Authority acknowledges that this is not always feasible. “While zero risk is not feasible where food is concerned, the plight of people with a food allergy or intolerance can be alleviated to some extent by appropriate and accurate food labelling, alongside good manufacturing and processing procedures,” Reilly added. Email “'Incorrect and inconsistent': Food businesses criticised over allergen controls”. 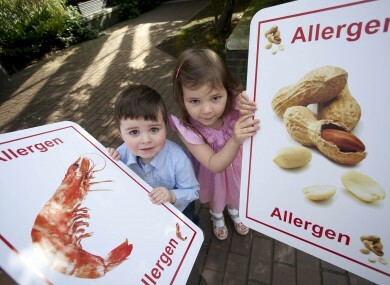 Feedback on “'Incorrect and inconsistent': Food businesses criticised over allergen controls”.